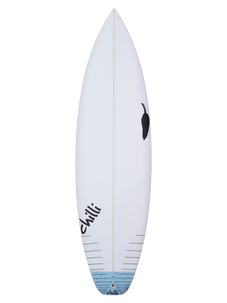 Pretty short and pretty sweet. 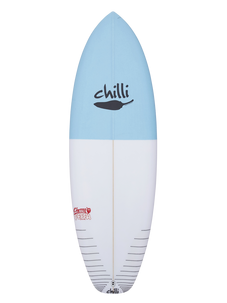 This board is designed to make you get out of the car, throw your board shorts on and go surf when everyone else is sent home to read the paper. 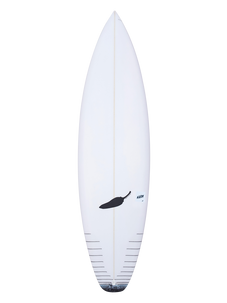 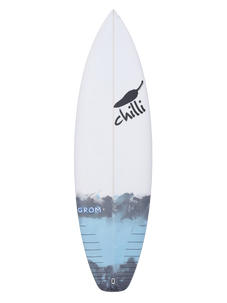 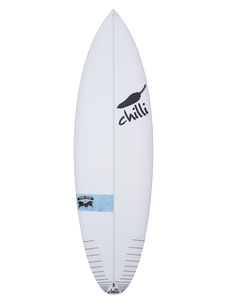 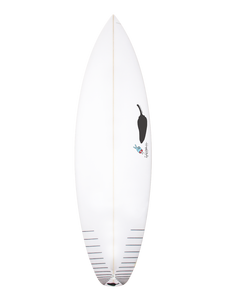 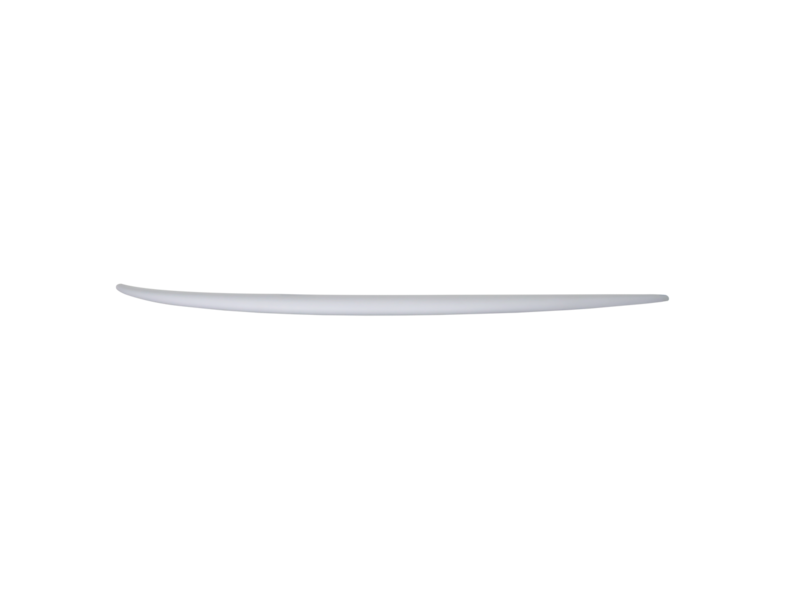 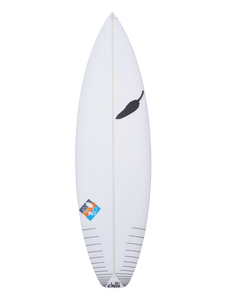 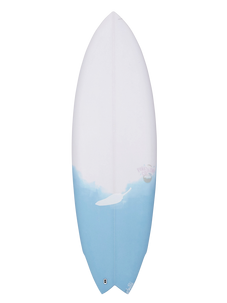 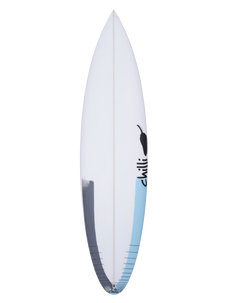 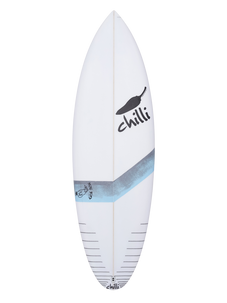 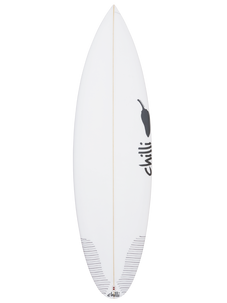 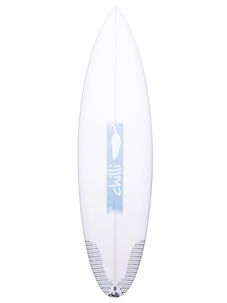 flat, but has a little kick in the nose area to dig you out of the shorebreak if it pops up on you.